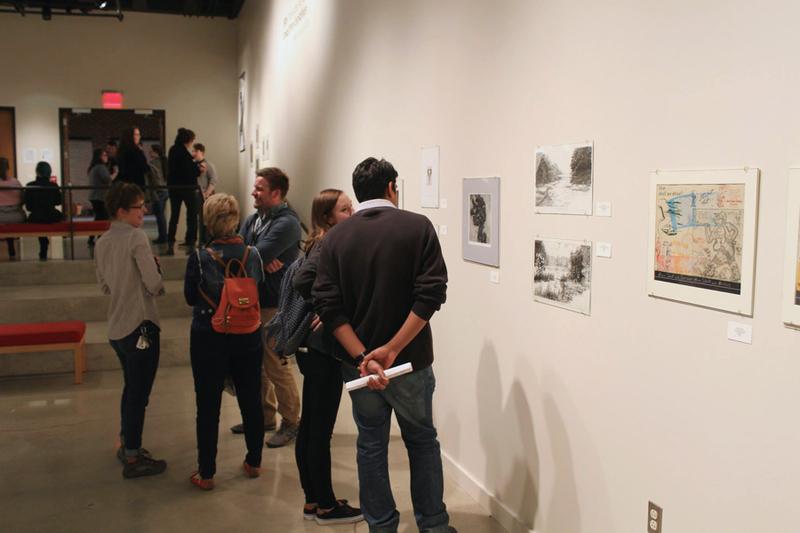 The Fourth National Monotype/Monoprint Juried exhibition showcases various monoprint and monotype techniques used in contemporary printmaking. I am honored to be a part of this years exhibition with some of my own print heros! The exhibition is juried by Andrew Stevens, Curator of the Collection of Prints, Drawings and Photographs at the Chazen Museum at the University of Wisconsin. I was fortunate enough to have two prints in the 88th annual juried exhibition of Honolulu Printmakers at the Honolulu Museum of Art School, along side with many talented printmakers. Juror: Paul Mullowney. Longtime Don Ed Hardy collaborator Mullowney will be in residence in February to select work for the Annual Exhibition. Paul is an experienced educator and a Crown Point Press-trained master printer with a broad and deep skillset in printmaking. The former print studio director of Maui's Hui No‘eau Visual Arts Center and a past Gift Print Artist, Paul is now based in San Francisco where he runs Mullowney Printing, where this year’s Gift Print is being editioned. 2015 Gift Print Artist: Don Ed Hardy. Well known as a highly influential tattoo artist who was instrumental in bringing about the vibrant, diverse contemporary tattoo scene, Hardy also has deep roots in print culture. He earned his BFA in printmaking from the San Francisco Art Institute in 1967, and since the early nineties he has been producing prints and editions with master printers and publishers such as Trillium Graphics, Shark’s Ink, and Mullowney Printing. Hardy has been a Honolulu resident since 1986. Brue Bar and Honolulu Printmakers present "suspension", a two person print show featuring Yoshimi Teh and Chiho Ushio. YOSHIMI TEH and CHIHO USHIO are artists and printmakers who were both born in Japan and currently reside in Honolulu. Teh's works often include sand in her processes and Ushio's relates to water. The title of the exhibit is a reference to the mixture of two substances in chemistry. Provenance is the Adelaide Central School of Art's bi-annual fundraiser auction and exhibition; an unmissable opportunity to acquire original works of art from 76 living Australian artists. 2 lithographs by Mei Sheong Wong and Yoshimi Teh, made during Mei's stay as an artist in residence at the University of Hawai`i at Manoa. As a non-profit organization, proceeds from this exhibition directly support the students of the School. Provenance will be held in the Teaching & Studio Building with auction held in the Gallery. Purchases can be made in person or online. Contact James Edwards, Gallery Assistant at james.edwards@acsa.sa.edu.au or 08 8299 7300 to make a purchase or place a bid. Purchases and silent bids accepted from 9am 18 May to COB 3 June 2015. See prints by artists from all over the state in the 87th annual juried exhibition of Honolulu Printmakers at the Honolulu Museum of Art School. Juror: Sonnernzimmer: Chicago-based screenprinting duo. 2014 Gift Print Artist: Paul Weissman: Architect and printmaker whose print will address the politics of water usage and scarcity in Hawai‘i. I am beyond grateful to be a part of this years exhibition and be one of the recipients for the award of excellence. Honolulu Printmakers is one of the oldest printmaking organization in the US, and it's annual juried exhibition is one of the highlights of Oahu's art calendar. I am overjoyed to be a part of the Honolulu Printmakers 86th Annual Exhibition.